The Bubble rush has been in the diary for as long as I can remember. 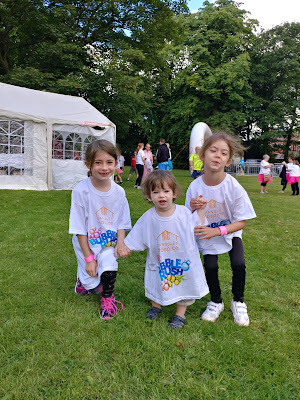 My eldest daughter asking every day when the bubble rush would be, a run that we could all take part in and one that would be lots of fun. 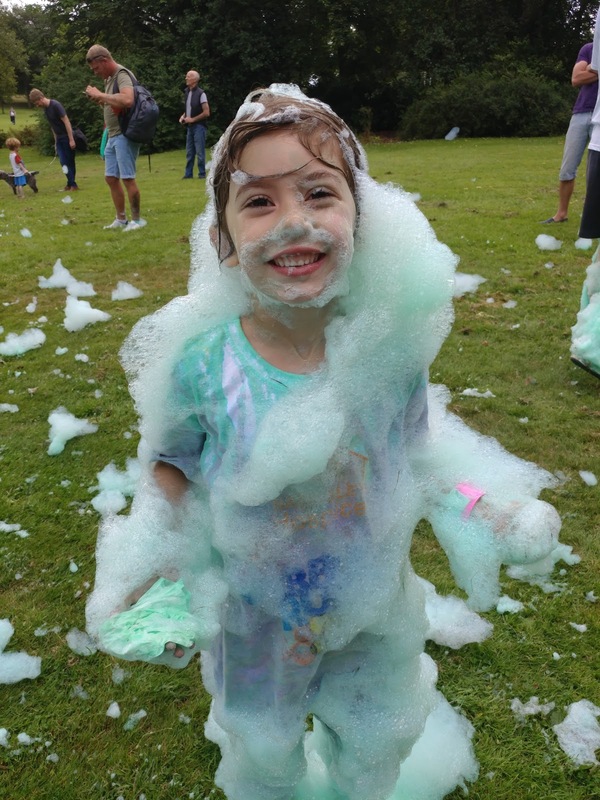 The day of the bubble rush finally arrived and all of the children were rather excited! We had gotten there early to register and as we were in the first wave of runners took some time to walk around the charity stands and enjoy ourselves before the race began. 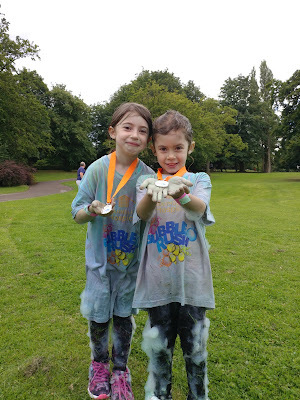 The bubble rush was raising money for Barnsley hospice which is a fantastic cause. It was soon time for our race to begin, after warming up we made our way to the start for 2 laps of the course. It was here we saw the bubbles for the first time. The girls were a little apprehensive at first but soon ran through the first set of bubbles. Not too deep this time, up to about our knees and we were off in search of the next colour. Each colour station the bubbles seemed to get higher and higher. Each loop the got higher still. Until they were up to my shoulders, the girls and Little Man completely covered. My youngest loved it, diving in and out of all the bubbles. Little Man thought it was so much fun and wanted to go back in after everyone. 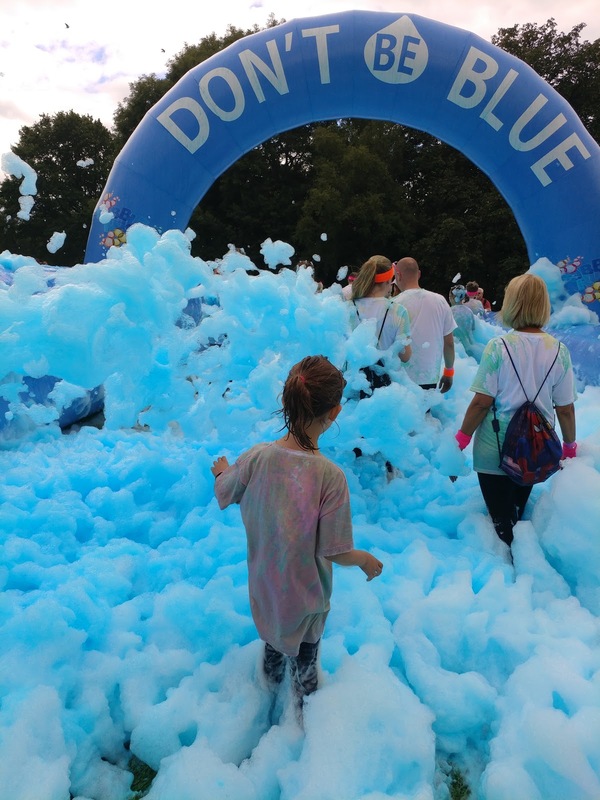 My eldest loved running through the bubbles, but did make a point of letting us know her clothes were wet as we ran from bubble station to bubble station. 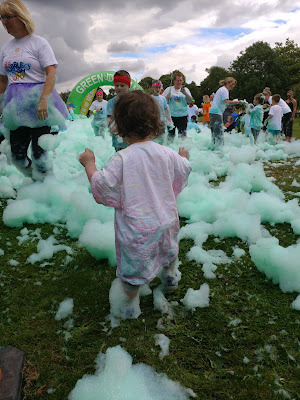 It seemed the later you ran the more bubbles, but to be honest we had so much fun running through them I don't know if Little Man in particularly would have enjoyed them as much if there had been more of them. The colours stained clothes and skin, and after a few days and a few baths our skin returned to normal. It was funny going swimming with green skin! The girls had so much fun and laughed the whole time. 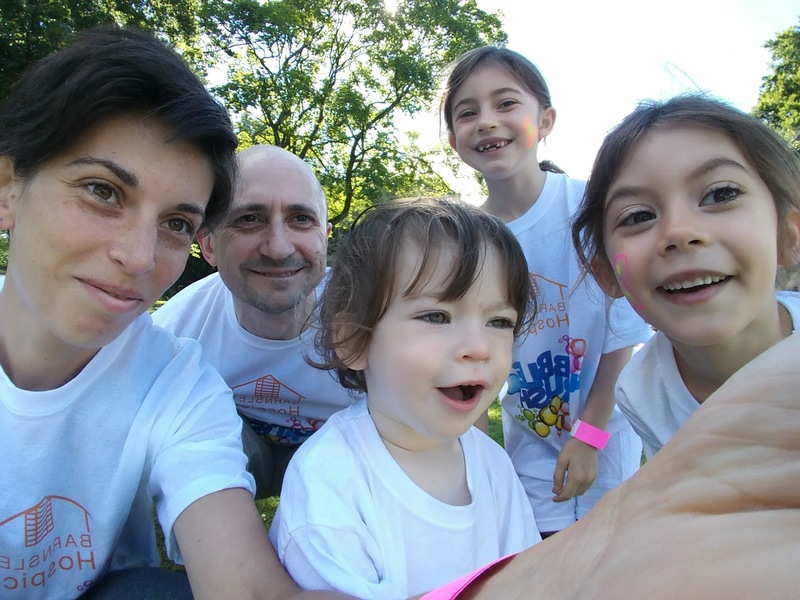 I would love to find another bubble run for them, it was so much fun!